This paper reports on the design, development and evaluation of TimeViewer, a system allowing the storing, visualization and multimodal interaction with temporal and semantic information using timelines in 3D environments. We focus on the appliance of 3D interactive timelines for temporal information visualization, extending their capabilities with the novel concept of a time-tunnel. Our work is intended to investigate beyond the current state of the art interaction with 3D environments using a variety of input modes, such as touch and full-body kinesthetic interaction. 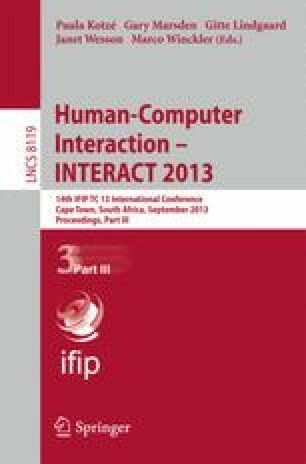 Qualitative results were elicited through an evaluation with 16 users in order to assess the users’ opinion of the system, the efficiency of the offered interactions and direct future research in the area.